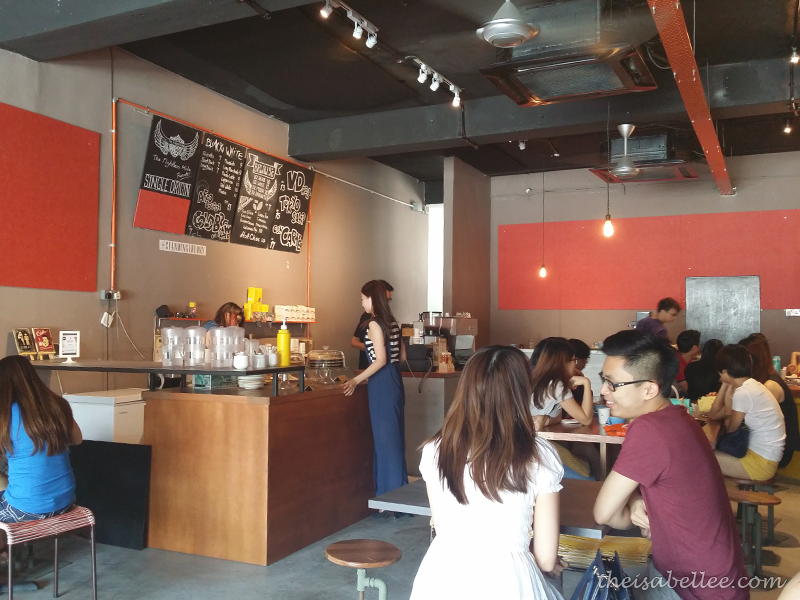 Standing Theory is a quaint little cafe tucked away in the residential area of SS2. It's a good place to have an afternoon coffee with friends but I wouldn't recommend it for lunch. There were only 4 items on the lunch food menu : VD Roll (kinda like a sub), Tokyo Salad, Con Carne (stew) and BBC Waffles. BACON made the waffles a clear choice. I wouldn't return for lunch due to the poor selection of food but they have linguine, chicken, burrito and burger for dinner. P.S. Lunch menu is not suitable for the elderly. One family came in with old popo and sat down for 5 minutes before deciding to leave. 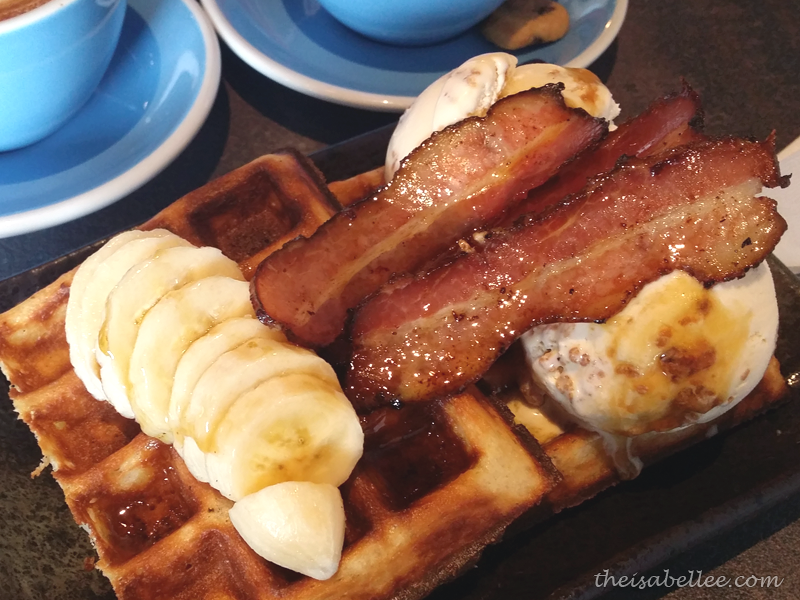 Toasty waffles topped with sliced bananas, crispy bacon and cornflake ice cream. 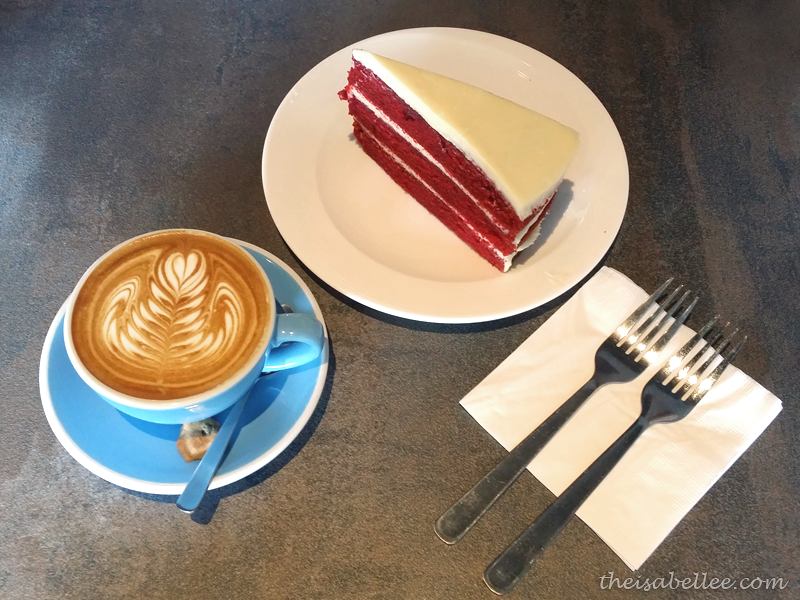 I told Tania I don't mix my sweet and savoury but the first bite proved me wrong. It was so so good.. The smokey flavour of the bacon combined with sweet ice cream and that crunch in your mouth as you bit into the waffle. It was sinfully awesome. 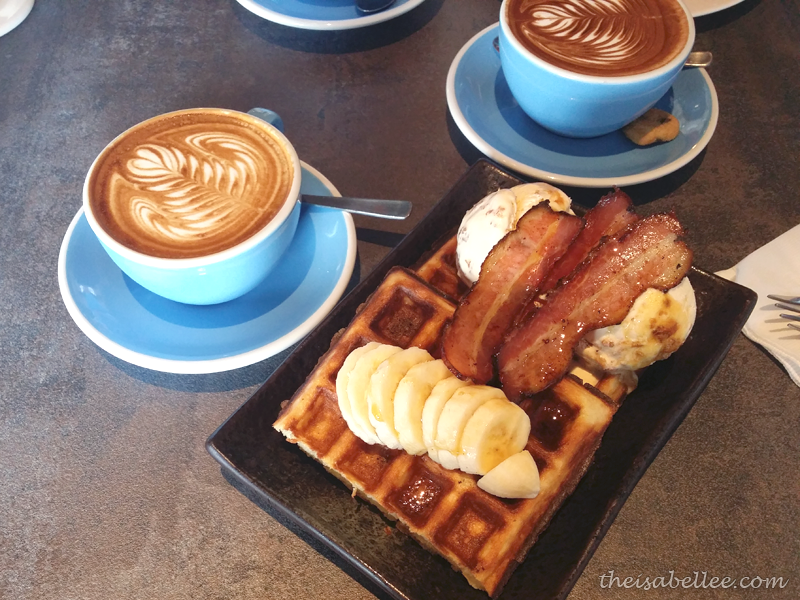 That was until I reached the 2nd waffle, when I started feeling nauseous =/ I even left my bacon, which is like woahh! Cos I would NEVER leave my bacons. So yeah.. If you're a small eater, you can share this. 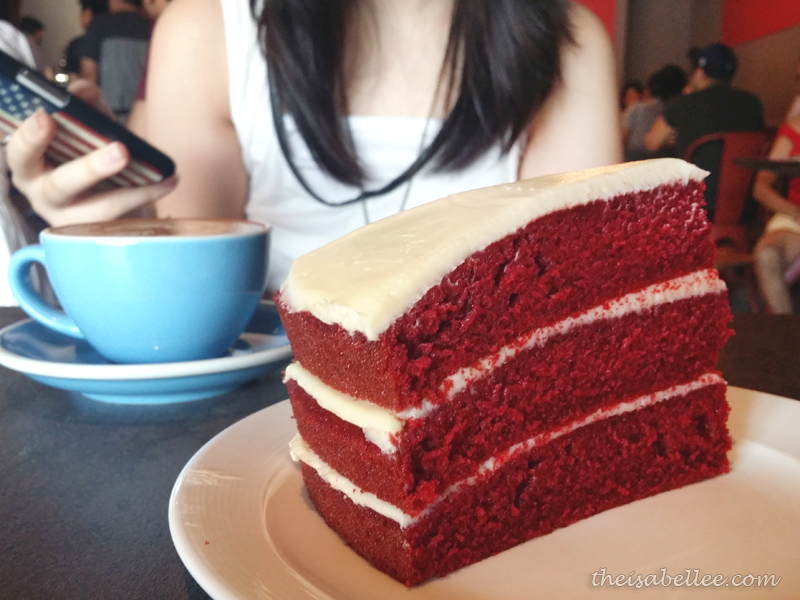 This triple-layered cake was quite large and tall. It's moist and fluffy all the way down because Standing Theory does not refrigerate their cakes but instead keeps them at room temperature. 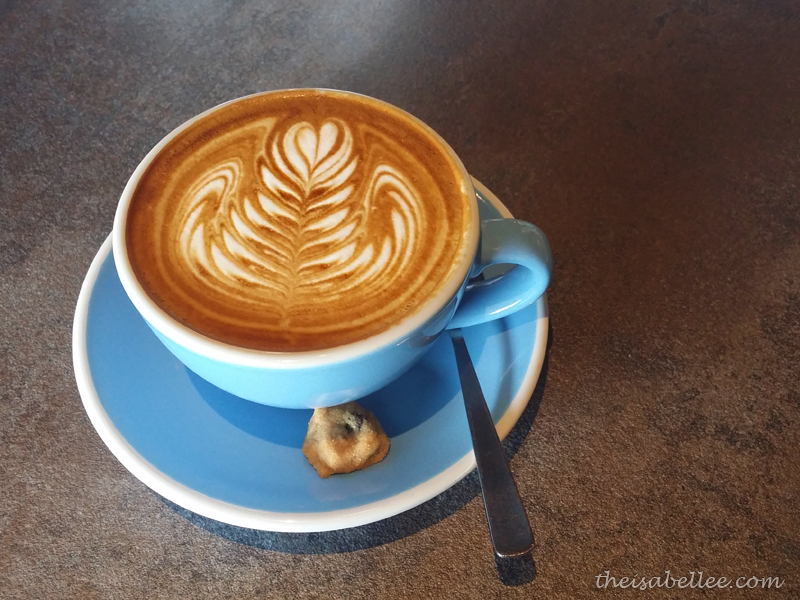 I enjoyed this soothing cup of coffee which was smooth and milky. It was rather bitter but nothing a lil sugar can't help. Comes with a tiny chocolate chip cookie. 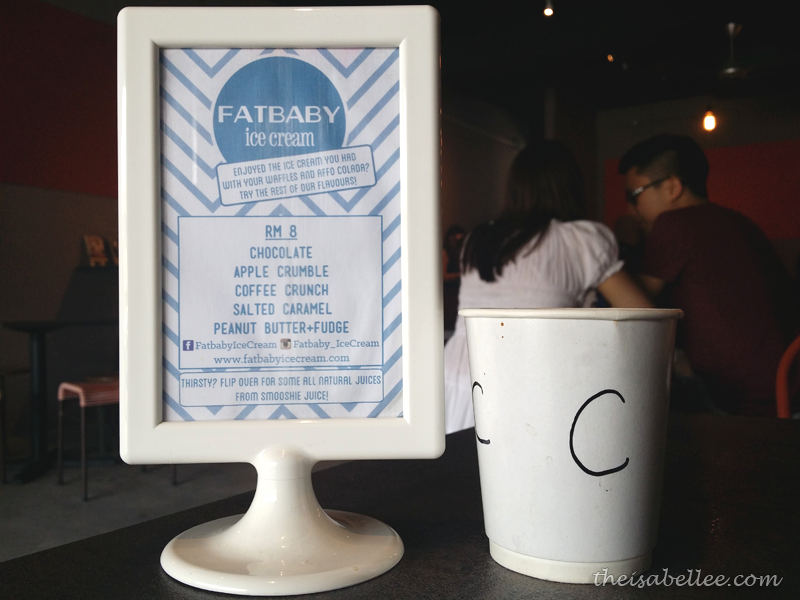 They also serve Fatbaby Icecream here at RM 8 per cup. 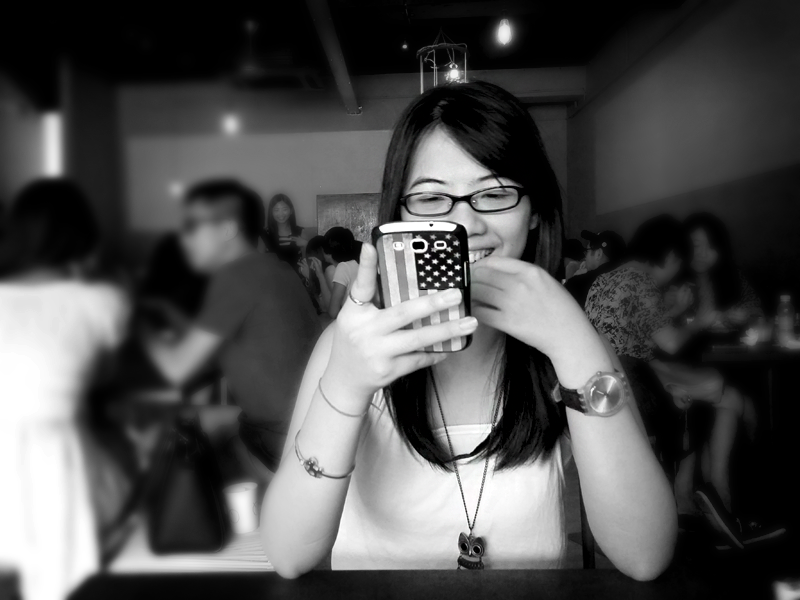 The cafe is usually packed and parking is not easy to find. I feel that they are understaffed and even take time to clear your table. I walked in and sat at a table for 5, filled with various coffee cups and plates, some with leftovers. Dude : Hi, may I know if there is a problem? Dude : Is there a problem? Dude : You didn't finish your food. Me : Err.. they're not mine. Like ohkay.. I'm not sure how he got it in his head that I ordered drinks and food for 5 people HAHA should have told him that I couldn't fit any more after the 4th portion. I would also like to note that the door is almost impossible to open for weaklings =/ I only managed to pull/push it to open one foot for me to squeeze out.